It may seem strange, even a bit macabre, but I don’t mind wandering around an old cemetery; in fact, I go out of my way to find them and see what interesting graves and headstones I can find. In my defence, I’m not alone in this. If you do just a cursory search on the internet you’ll find all sorts of websites dedicated to our cemeteries and graves and the people and history contained within. At the entrance to the Beechworth Cemetery Trust, there’s a plaque that tries to explain the fascination cemeteries hold for people as well as a self-guided tour of historic graves. In cemeteries, lives are commemorated and the testimonies of devotion and pride are there for all to see, allowing communities to pay respects to those who lie there. Finally, a cemetery is a history of people, which may explain why the National Trust of Australia set a goal of recording all the known burial sites, first in NSW but hopefully and eventually across Australia. Another spot to start researching cemeteries is the website, www.australiancemeteries.com.au, and you’ll also find many books, guides and other resources available on our historic cemeteries in Sydney and Melbourne. The oldest cemetery in Australia is the St John’s Cemetery in Parramatta – the first interment was a child who buried there in 1790. You don’t have to visit too many cemeteries to realise that back in the early days of the settlement and even into the 1900s, growing up in Australia was a risky undertaking. I remember finding one headstone in a remote cemetery in outback Queensland at the site of an old goldfield where five children under the age of 11 years old were all lost to the one family in the course of just 10 years. Could you imagine such heartbreak? 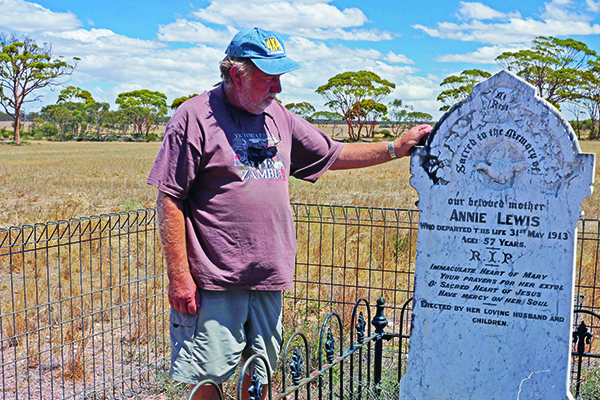 Wandering outback NSW earlier this year we got to White Cliffs where we checked out the local pioneer cemetery. The story was much the same with most who were interned there being kids, some just a few months old. They make heart-rending reading! In the remote northern Flinders Ranges at the Yudnamutana mining site you will find a small cemetery. While some of the areas within pay tribute to the early pioneer prospectors buried there, others reveal the tragedy and horror that unfolded in a person’s life. Right across Australia, especially in those often short-lived mining areas such as Yudnamutana, you’ll find cemeteries that record how tough life was in these remote fields. Some of the older ones reveal thirst as the cause of death, while others tell of fatal falls or crushes in mining accidents. 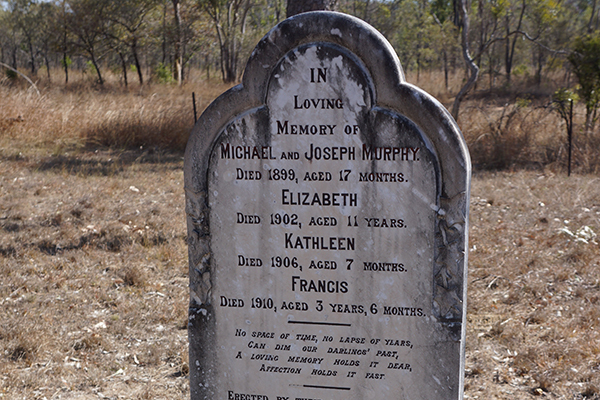 At Mt Mulligan in far north Queensland, the local cemetery testifies the worst mining disaster in Australian history. Here in 1921, a series of underground explosions killed 75 miners. Of course, not all those who died in remote areas of Australia were buried in a cemetery. My great grandmother was one of them; she lies buried amongst a small thicket in the middle of a wheat paddock not far from Salmon Gums, inland from Esperance, WA. Such lonely graves can be found all over Australia, and they serve as poignant reminders of our past and the endeavours of our forefathers and mothers. You’ll be surprised at how interesting it can be haunting cemeteries and other lonely graves!